Buying season has started and this past weekend Alison, Sophie and I jetted off to sunny Madrid. 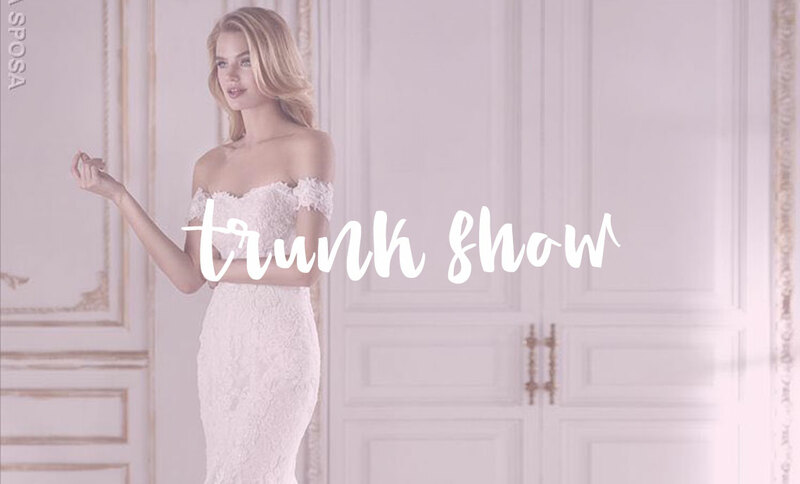 We were of course looking forward to seeing the new collection from La Sposa, but we were really excited for a bit of sun and shopping! 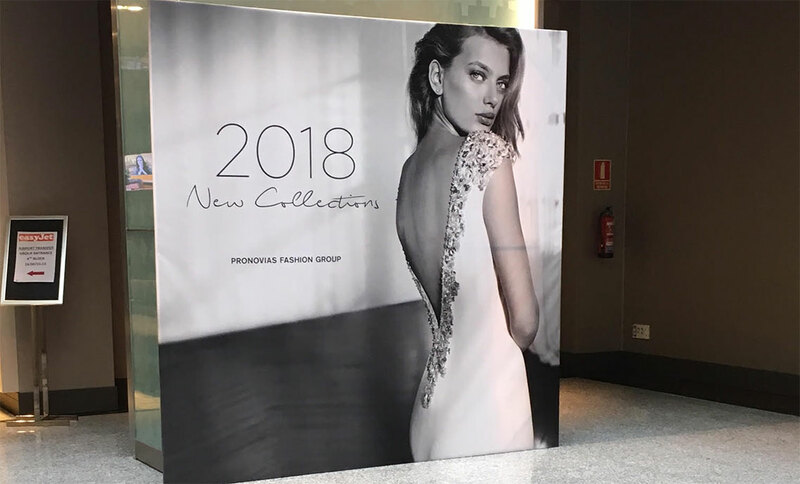 We arrived early Sunday morning and headed straight to the hotel where St Patrick, the parent company to La Sposa, were looking after us and their showroom was situated. Well this hotel was huge, it took us 20 mins just to find our room from the hotel lobby! We freshened up and went immediately down to the showroom where the 2018 collection was shown. Now, I’m always a bit nervous when I see new collections as I panic that I won’t like anything. Well I needn’t have worried as immediately we all spotted a dress that we fell in love with. All the dresses, around 100, are on mannequins around a room and we slowly walk around them all taking in every detail and critiquing each dress. I tend to go around taking pictures of all the ones I love, while Sophie is frantically scribbling down all mine and Alison’s notes. Together we shortlisted 25 which is good for us, but when we only need 12 we then have to make x-factor style ‘cuts’. Like lots of our brides we decided to sleep on our decisions and come back the next day with fresh eyes. Every year St Patrick put on a huge Gala dinner for all the shop owners from around the world and it’s always a great night. For once we had the luxury of taking our time to get ready for the night, so we all glammed up and donned our heels for a night of food, drink and dancing. It’s a chance to chat to other bridal shops owners from around the UK and even around the World. We all trade stories and advice and it’s genuinely lovely to catch up with old friends make new ones. The next morning, we went back down to the showroom to select the final collection for Turner and Pennell. It was rather straight forward for once, we really feel that we have a collection that caters for everyone. We have, of course, lace dresses but also some full satin and georgette skirts. However, we have noticed a trend in weddings abroad this year, so we have invested in 6 stunning destination gowns that are light and easily transportable. If you would like to see some sneaky peaks, then make sure you follow us on Instagram and Facebook. Dresses will arrive in store around July/August time. Buying season has started and this past weekend Alison, Sophie and I jetted off to sunny Madrid. 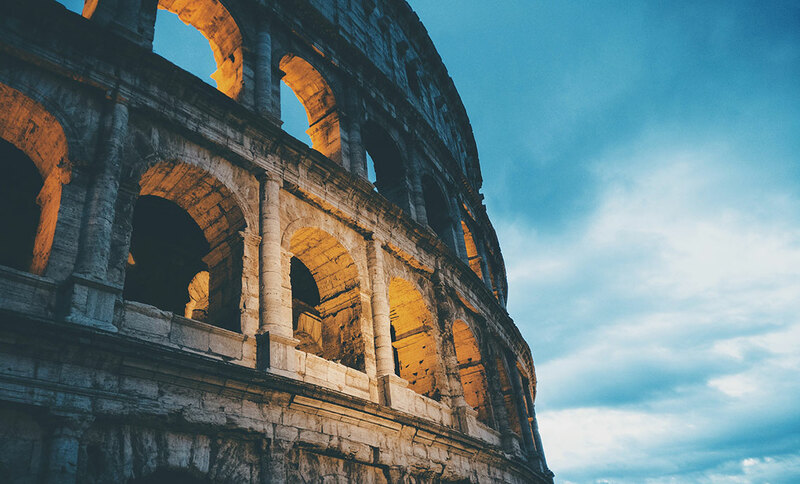 We were of course looking forward to seeing the new 2018 collection from the La Sposa, but we were really excited for sun, exploring and, of course, shopping! Each year we go out to Spain to see the new collection for . 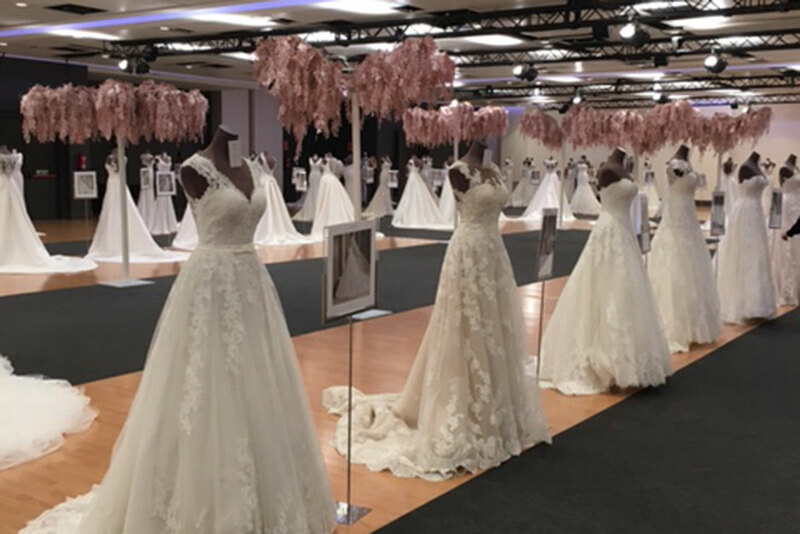 We get put up in an amazing hotel, wined and dined and then the next morning visit an enormous exhibition centre with 100’s of other people (all with sore heads) to place an order of around 12 dresses!